Visitors to the gardens will be familiar with the foot baths at all entrances. These foot baths are just one of the measures we take to protect our plant collections from disease and prevent us acting as a source of infection for other gardens. 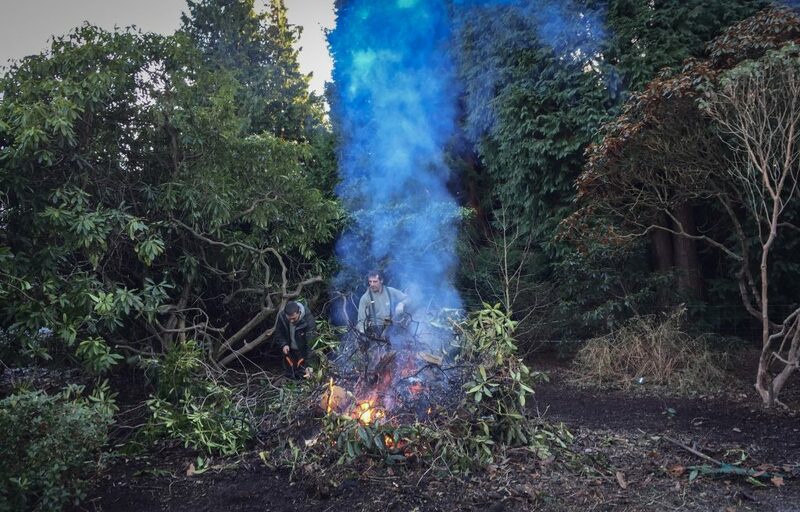 A bonfire at the Botanics is a less common sight but the new year saw the grubbing out and in situ burning of a Rhododendron arboreum bush that has grown in the garden since atleast 1974. 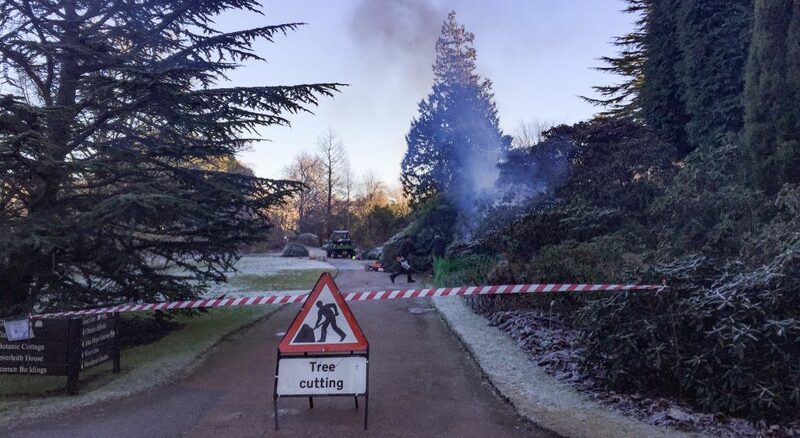 A sharp eyed horticulturist, Peter Wilson, spotted signs of what looked like the disease Phytophthora ramorum. This species of water mould is called ‘sudden oak death’ in the USA – although the strains found in Europe are different from those in North America. The genus name is Greek for plant destroyer. The diseased branch was quickly destroyed, before it could even be tested. 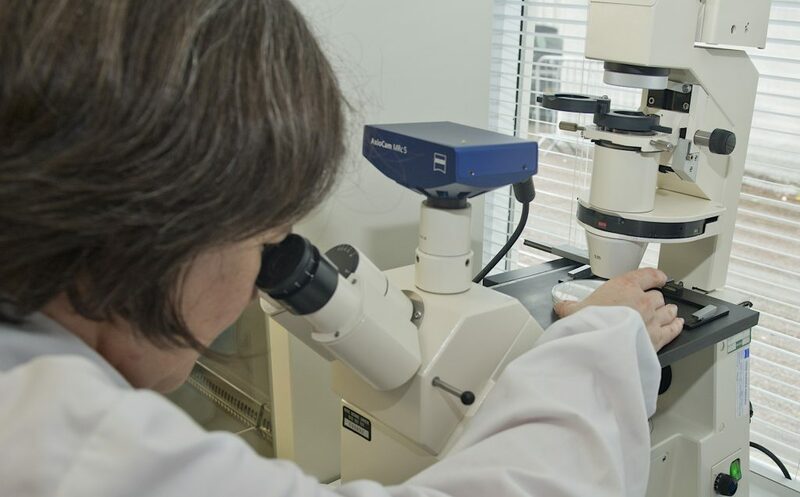 Fortunately we have an in-house project run by Dr Katy Hayden looking at methods of detecting cryptic pathogens in the soil. If we can find ways of detecting these hidden diseases before an outbreak we will be able to help stop their spread. Soil samples were analysed and Phytophthora found. New plant samples were then taken and sent to the official government agency who confirmed the presence of the disease and served an official notice for the destruction of the plant and surrounding vegetation. Virulent plant diseases are an increasing threat to our gardens, countryside and agriculture. Their spread is due to a combination of increased global trade and the way we are changing the climate. You can help prevent their spread by adopting good plant hygiene habits of washing boots, tools and vehicles as they move between locations and also reducing your contribution to climate change by shrinking your carbon footprint. The area around the outbreak site is cordoned off while the plants are destroyed. Additional restrictions will apply till we are sure the disease has gone. Thanks for this info. Visited on Monday and was surprised to see a bonfire and wondered why. It is worth adding that Phytophthora ramorum has notbeen recorded in Australia.